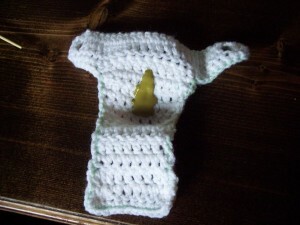 My sister asked me if I could crochet some diapers for my nieces Baby Alive Doll. After a few attempts, I finally got the shape and size perfected. I am so excited to see the look on my nieces face, especially when she sees the fake poop I painted into one of them. 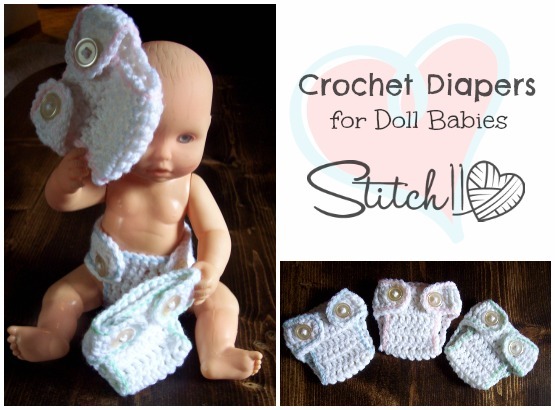 I hope everyone enjoys following this free crochet doll diaper pattern as much as I enjoyed creating it! Row 15: CH 1. Turn. SC into next 12 stitches. Finish off and weave in your ends. Using contrasting color, slip stitch around the entire piece. Really love this but for some reason my brain is not catching the turns. Are you meaning to turn the corner or a normal turn around. It’s just not coming out right for me. Are there perhaps some pictures to go along with each of the steps that may help? Turn and work the opposite direction when told to turn. On round 2, you will be turning the corner. I didn’t say to turn in that row. Thank you very much. It was very quick to work up once I looked at it a second time. I have one made up already it just needs some buttons. Thank you so much for this pattern. I will be using it to help train breastfeeding mums, by adding some different coloured circles (might need to make the nappy larger), to show the different stages of a breastfed baby’s normal poo colours. Thank you. Can’t wait to give the pattern a try. I must crochet very tight because I made your anumal hammock and had to go up two hook sizes. That is a great pattern too! Thank you very much for this cute pattern. I’m a beginner. 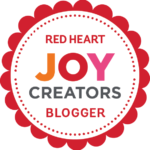 What does HDC-2-TOG mean? Never mind. I found it. Lol. Cute pattern and I’ve worked up a few for my granddaughter’s many baby dolls. Half Double Crochet two together. Awesome! My came out right the first time and it fit both of the dolls! I love this pattern! What size doll will these fit? ?love these..do u have any more crochet clothes patterns for baby alive? I needed something for my great niece to itty bitty baby doll. Its going to be a prefect gift. Would this fit a Bitty Baby? It’s sized to fit a doll baby. Im not sure it would fit a baby. It would have to be a very early premie.